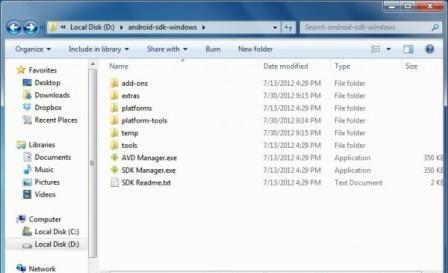 Step 1 – Download and Install Java Platform (JDK) from Java SE Software Development Kit (SDK) downloads. Once installed, proceed to the next step. 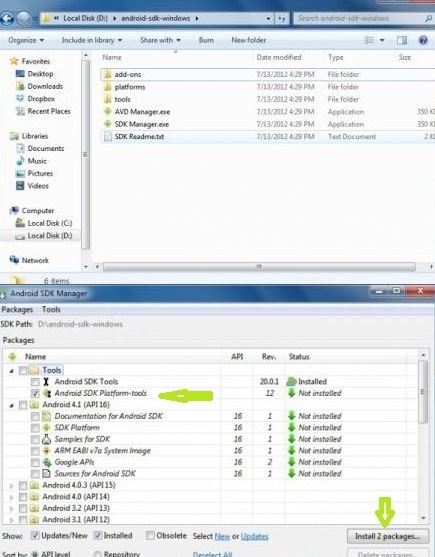 Step 2 – Download Android SDK from the Android Developers website. Download the ZIP package file for Windows | Mac | Linux (32&64 Bit). Step 3 – Extract the zip file anywhere in your computer. For instant; we extracted in D: drive. 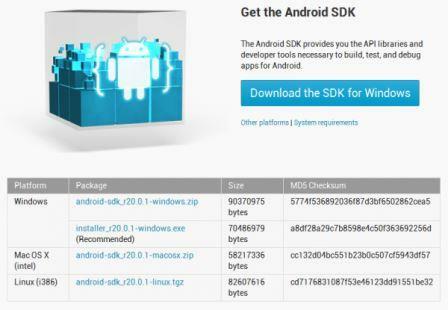 D:android-sdk-windows. 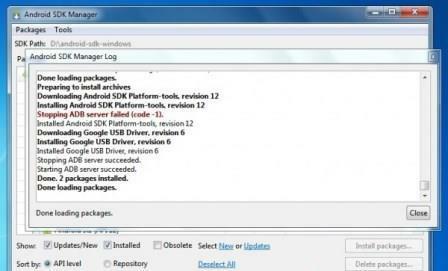 Step 4 – Open SDK Manager.exe and wait till it loads (fetches) all the packages. 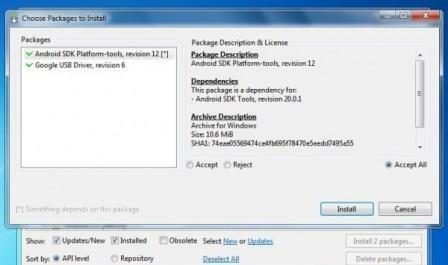 Step 6 – Confirm the packages that you selected. Check The Accept Option and click the “Install” button. Step 7 – Wait till the downloading finishes. Step 8 – Once you get the following screen, this means all the packages have been successfully installed. Hope it will help you and if you not get it please reply in comments….